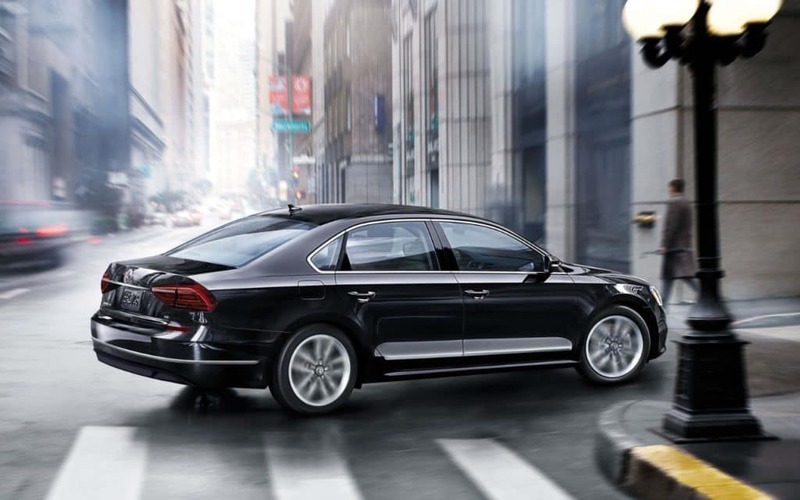 With the Volkswagen Passat, drivers are getting a vehicle that stands out in many ways. For those of you here in West Warwick who’d like to take a closer look, you’re always welcome, and when you come in, you not only can learn about the vehicle, but the many different buying and leasing options available to you too. Driving the Passat gives you a full-size feel in a mid-size sedan with class-leading rear legroom, and a plethora of different features which includes integration to Apple CarPlay and Android Auto via VW Car-Net App-Connect, and a standout driving dynamic. With a lease, you can experience all these benefits and more, while being able to take advantage a monthly payment that works for you, and our finance team is here to help you explore and explain all the benefits of leasing a Passat in West Warwick. Of course, if you’re looking to make the Passat a long-term drive, something it is fully capable of doing with its finely-tuned dynamics and reputation for quality, you can opt to purchase the vehicle as well, and our finance team can provide you with all the intel you need to make an informed decision for yourself. You can take a look at our new Volkswagen specials and our current lease offers here at Balise Volkswagen, to maximize your potential savings, and drive off in a new Passat today, so give us a call or stop in and see us and we can get ready to help you.